Last night I finally saw a live Pixies show. I actually met Frank Black and Kim Deal up close and personal. I managed to get myself up on stage and convinced my way into being a backup vocalist…. yah right in my dreams. I made my way through the cold wind and icy rain to the worn out brick building that had been converted into a music hall. For some reason I had Suited Up(!) and was wearing my $5 leather jacket as an overcoat. I had a moment of bravado and inspiration seeing the yellow jacketed security guard leave his post to the two female ticket takers. I boldly left my place in line and walked to the front of the crowd and explained that I was the talent. I was a vocalist that was called in at the last moment and that I had to get to the staging area right away. My performance was so good that they let me through without any questions. I tend to think it was the suit. 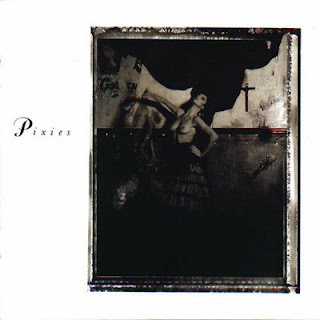 Once on stage the band, the Pixies(! ), where setting up their gear, doing their own sound checks, testing their equipment. I explained to Frank Black that I was here to be the backup vocalist. He gave me a funny look as if he wasn’t sure, but finally shrugged his shoulders and set me up with a microphone. I never did get to do any signing, but I did do a lot of dancing around with the mic stand during the first set. At intermission it started raining over the venue, apparently there was no roof on the building so we had to put tarps up over the stage so the band wouldn’t get electrocuted. They then brought in a meal for the band, huge trays of spaghetti and meatballs. The creepy looking guy in the yellow jacket that helped to bring in the food pulled me aside and let me know that he was going to pound the hell out of me after I left the show. He was angry for me embarrassing him. Apparently when he left his post and I managed to sneak myself into being part of the band was a great embarrassment to him. We threw him off the stage and…. well that was the time I met the Pixies.